I got the idea of cooking this tong sui/dessert after I tried it from ‘tim pan kor kor’; a dessert shop in Subang. It looks pretty simple. All you need is just a packet of tong yuen (glutinuos rice ball) which can be purchased from the supermarket (I’m lazy ma…so I just buy it from the supermarket. Moreover I do not know how to make the one with black sesame content lerr…. ^^), 1 number of sweet potato(your desired size), gula melaka and ginger. 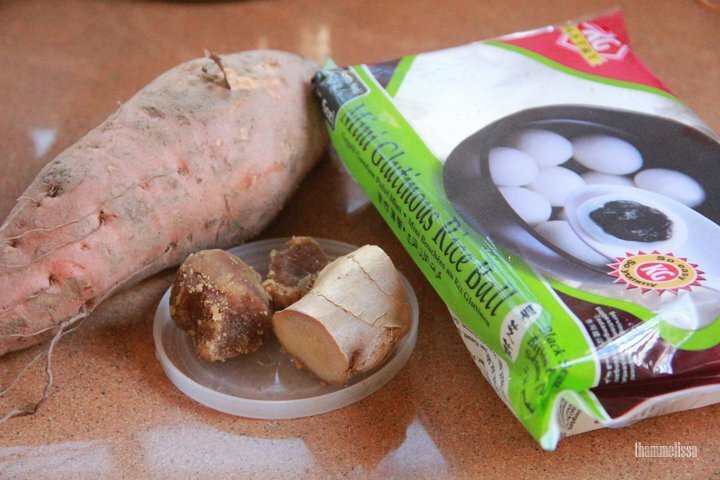 When the water is boiling; add in the sweet potatoes. 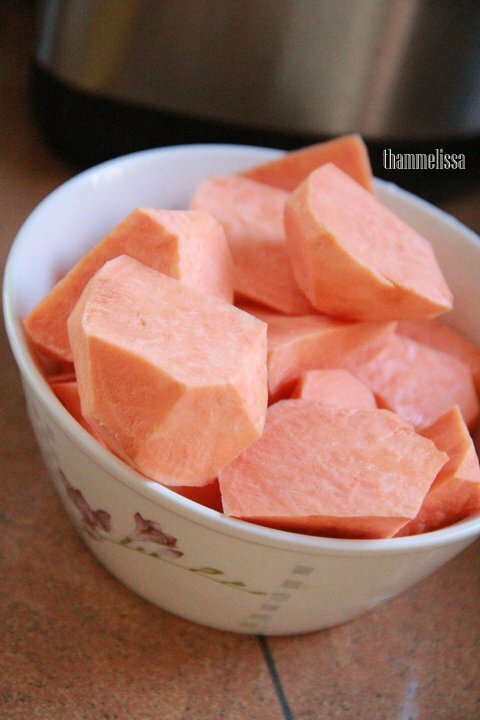 Cook till the sweet potatoes is soft enough. As for the ‘tong yuen’; boil separately in another pot of boiling water. 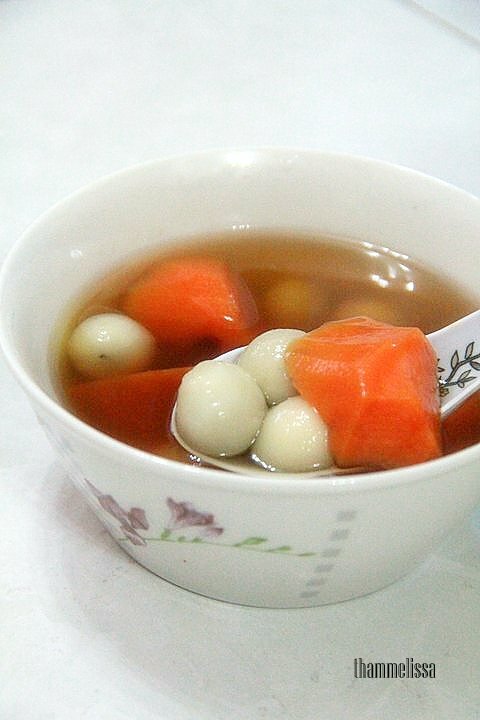 When the tong yuen are floating above…means its cooked. You can now scoop them up. Haha I thought you make your tong yuen from scratch.. I also like to buy this brand of tong yuen… next time can add some pandan leaves to your tong sui also… quite nice..
hahaha…….start from stratch oso can…quite simple oso…. KG brand I tried before, not nice wor….I always like Spring Home, their sesame and peanut very nice. Elaine- Really?? Me all the while oso try KG brand o. Maybe you try Spring Home, you might think it’s better. Well, I shall try KG again since you said it’s nice….